The Vauxhall Insignia is not a bad looking car. It looks like a saloon but is actually a hatchback, albeit one you wouldn't want to consign your dog to travelling in the boot of. He wouldn't be able to see out. The upside of that diminished practicality is that the Insignia's profile is a good one. Unfortunately the effect is spoiled somewhat when you look directly at the front or rear of the car and encounter the acres of chrome that embellishes it. You may be a fan of chrome but I'm not so the sight of a fully chromed grille and chrome lines under the fog lights at the front and a big chrome strip at the rear tend to lead to chrome overkill. Which is a shame because otherwise the Insignia is a perfectly reasonable car who's only other crime is its ubiquity. When you drive one you notice them everywhere. The 19" wheels on the test car are standard fit and look pretty snazzy (if a little 'busy'). 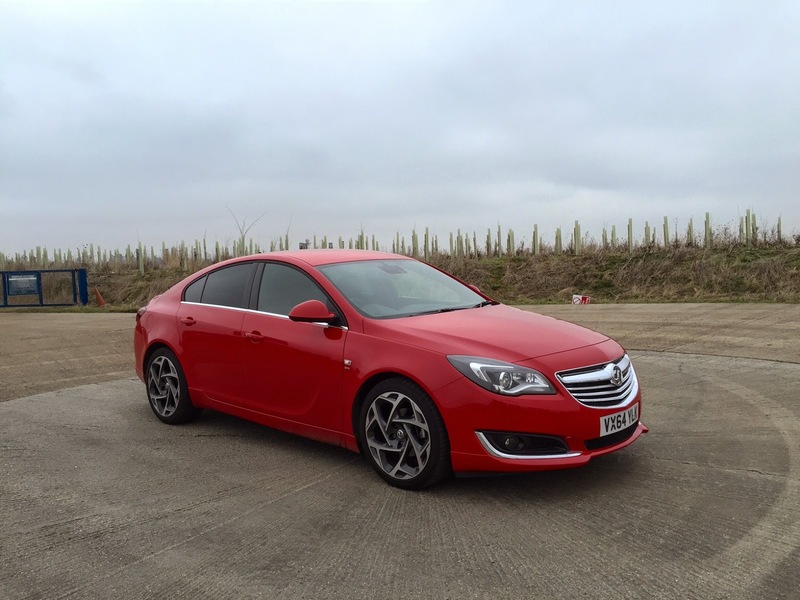 The Insignia is a long car and has a vast boot and rear seats with plenty of leg room. It uses the space well but a lack of a rear view camera or parking sensors make reverse parking a bit hairy - especially as the rear hatch window, when viewed in the rear view mirror, is tiny. The interior is dark but tasteful. Buttons are few and well laid out and the overall design is easy on the eye with a single line that runs from each door and across the dash (similar to that in the Jaguar XJ). The dials and knobs feel quality and are simple to use, the screens are big enough and feature nice graphics and everything feels more refined and premium than you'd expect in a Vauxhall. I shot a video the very first time I drove the Insignia and guessed the price would be edging towards £30k. I was wrong, it costs £23k. Once you study the specs and drive it for a few days you realise why it's not a £30k car, but the shortfalls between it and a Volvo S60 or Merc C-Class are not obviously apparent from behind the wheel. It has leather seats that are comfortable and part electrically adjustable. It has sensibly placed and sized storage binnacles, USB points, Bluetooth, digital radio, satnav, cruise control and a screen in front of the the driver. It's let down by confusing menus on both screens, a digital radio that is sometimes easy to tune but sometimes you cannot find the station you want and a satnav that is found wanting in terms of speed and ease of use. It defaults on top down 2D view and the 3D view just tilts the screen a bit. It doesn't have traffic and instead the traffic reports on the local radio station suddenly cut in on top of whatever you're listening to at maximum volume. The steering feels good - it's predictable and precise - and the ride is both smooth and reasonably supportive when going round corners. Push hard round a fast bend and you can feel the edge of its limitations. The Insignia is no sports car but it is possible to drive it in a spirited manner and enjoy doing so. Driving at night is aided by some super bright lights - that automatically come on as dusk arrives. The windscreen wipers aren't automatic though. 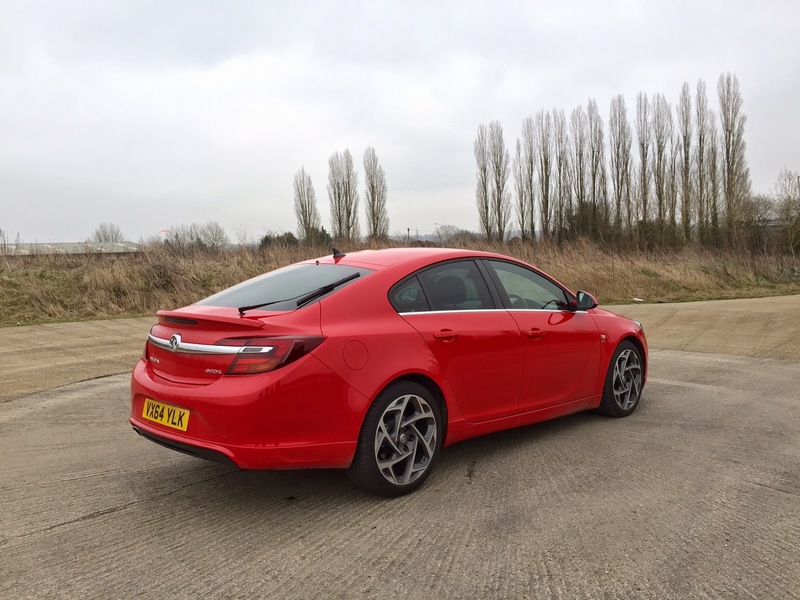 The engine is a modern 2-litre diesel that lacks in bhp but makes up for it in torque. Once you get above the point the turbo kicks in it will carry you along on a wave of grunt, which means you can be cack handed with the light and easy to use gearbox and still carry a decent turn of speed. As with other saloon/hatchbacks in the sub-premium class the Insignia has a bit of an image problem (few will be bought as private purchases) but if you end up with one as a company car you'll not be disappointed when you drive it. It is spacious, practical, drives well, efficient, costs little to run, has a good sound system and looks good but you will miss a reversing camera, a decent satnav and the image of other saloons. But if you ignore the lack of a premium badge the Vauxhall Insignia SRi CDTi is a thoroughly good car.